TRADEMARKS blindly define the landscape of our daily lives. Everything that is heard, seen, tasted, smelt and felt today is marked by logos and stories. These figurative marks are often so intertwined with the product that they become invisible. On 1st October 2016 commences the multidisciplinary arts festival Stadstriënnale Hasselt-Genk, turning the spotlight onto these TRADEMARKS. 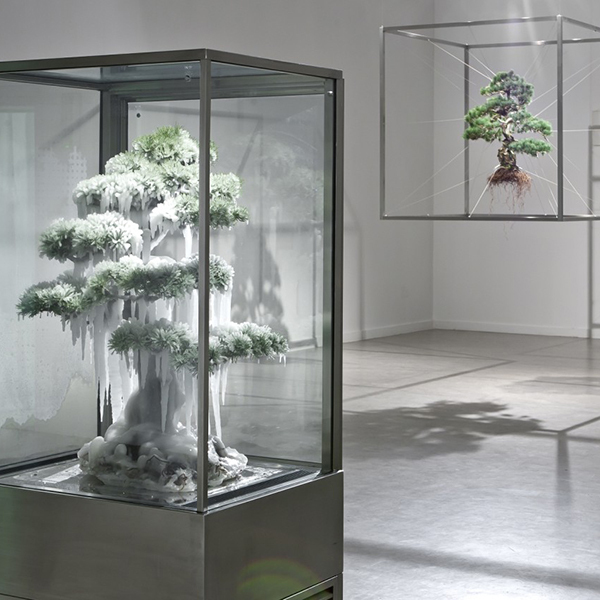 Through contemporary art, fashion, design, music and photography the City Triennial in Hasselt and Genk discloses the stories behind originality, innovation and personal branding in artistic ways. Several exhibitions, socio-artistic projects and a myriad of invigorating activities take you on a 100 days of Logomania rollercoaster. Check a selection of participating artists. With Manufactuur 3.0, Z33 searches for new production models in a fast changing world. Digital revolutions, ecological awareness and shifts in the fields of work and labour encourage us to rethink the traditional industrial production model. Z33 induces diverse international projects on living and working in an (small) urban context. A vast network of designers and artists appropriated such alternative production scenarios. With Manufactuur 3.0 these new insights now come to Hasselt and Genk, staging a production platform, continuously in progress. The dynamic exhibition format shows the changing role of the designer and artist as active producers in a city. 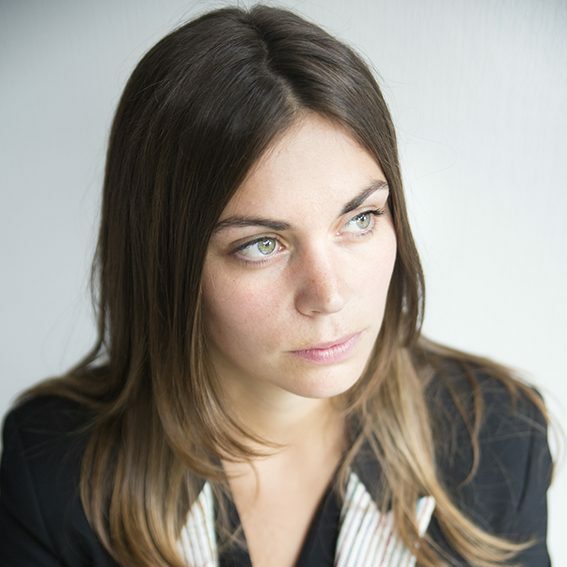 Evelien Bracke (BE, 1980) is an independent curator and project-coordinator. She obtained a Master degree in Art History at the University Gent. 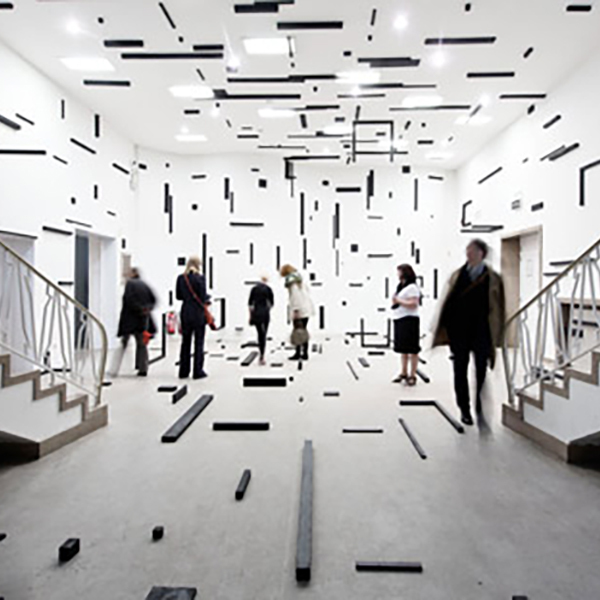 From 2010 – 2015 she worked at Z33, the house for contemporary Art in Hasselt, where she curated and coordinated several exhibitions and projects. Among these projects were: Atelier à Habiter (2013-2014), The Wilde Things, The so contemporary jewellery collection of Mrs. Wilde (2013-2014), All the Knives (any printed story on request) (2012), Mind the System, Find the Gap (2012). She worked at several research projects at Sint Lucas School of Antwerp and as a guest lecturer at the Design Academy Eindhoven (Master Social Design). Label it. Trademarks in Fashion explores the system of logos, identity and the copy and counterfeit industry in fashion, using specific case studies. The exhibition does not merely bring a one on one story of real and fake, but focuses on TRADEMARKS being a legal and social structure. 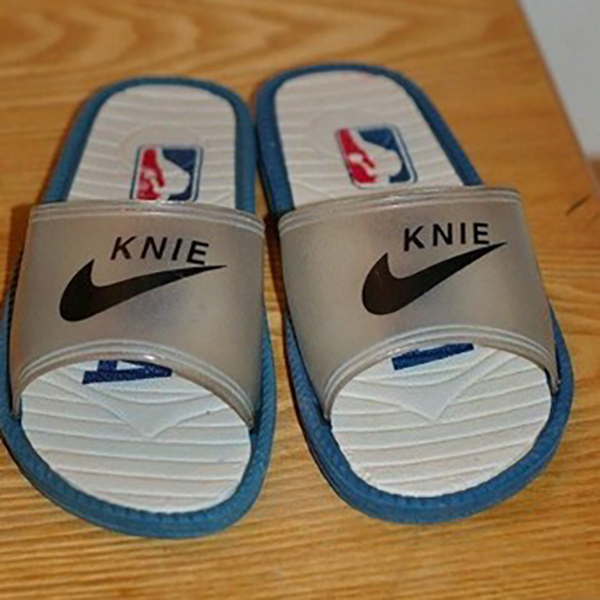 What is a brand? How to construct the identity of a fashion house? Masterpieces by designers from its own collection and from the collections of national and international museums and fashion houses attempt to present an answer. The historical section examines the system of copying and licenses. In the Paris of the 1850s, Charles Frederick Worth, considered the founder of haute couture, is know to be one of the first to sew the name of his fashion house in his creations. This triggered an unprecedented copying industry. In the first decades of the twentieth century several designers such as Madeleine Vionnet, Jacques Doucet, Jeanne Lanvin, Jeanne Paquin, Paul Poiret and many others, joined forces to protect themselves against these illegal practices. Gabrielle Chanel (20s), Christian Dior and Cristobal Balenciaga (late 40s), had very personal and divergent views on the copying industry. The 60’s had the fashion world shaken to its foundations by the growing importance of the ready-to-wear industry. 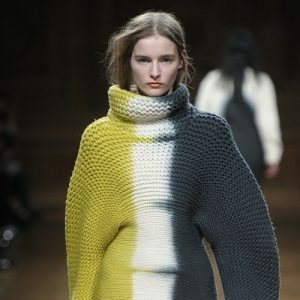 The second part of Label it looks at the TRADEMARKS mechanism as a social construction, particularly the DNA of fashion houses such as knitwear by Christian Wijnants and Missoni, colour usage by Dries Van Noten, black shades by Ann Demeulemeester, historical references by Alexander McQueen, Olivier Theyskens and Vivienne Westwood and youth by Raf Simons. In this section the importance of the designer for the identity of a brand is also highlighted, specifically with reference to the Maison Margiela. Logo mania and logohijacking, the final section of the exhibition, elaborates on the use and hijacking of logos, focussing on houses like Louis Vuitton, Hermès and Gucci. 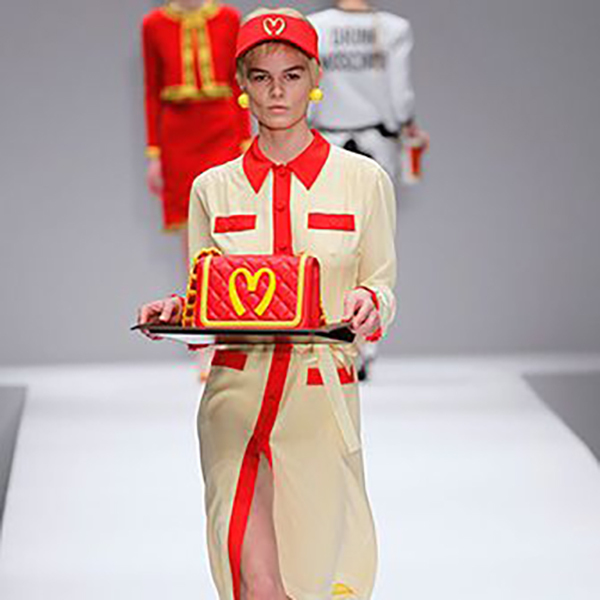 Logohijacking refers to the re-use of logos in new contexts, such as in the work of Raf Simons, Viktor & Rolf, Demna Gvasalia for Vetements and Balenciaga, and Jeremy Scott for Moschino. Eve Demoen (BE, 1986) obtained a Master degree in Art History and Archeology at the VUB (Brussels). 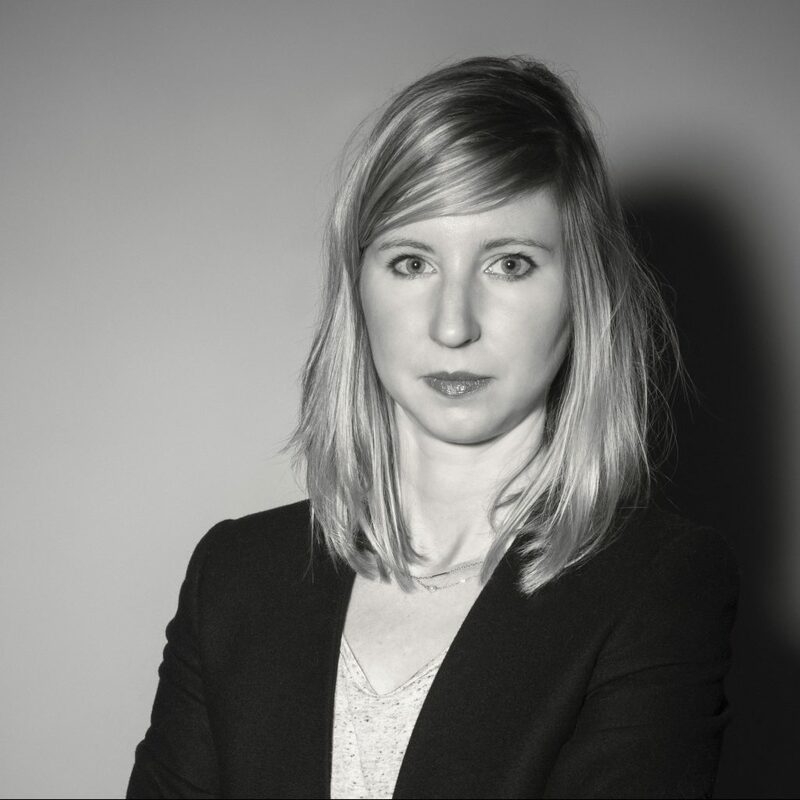 In 2009 she became curator at The Modemuseum Hasselt (Fashion museum of Hasselt) where she realized multiple exhibitions. She worked at the MoMu Antwerp and contributed to several national and international exhibition catalogues. As a researcher her main field of focus is on fashion and identity. 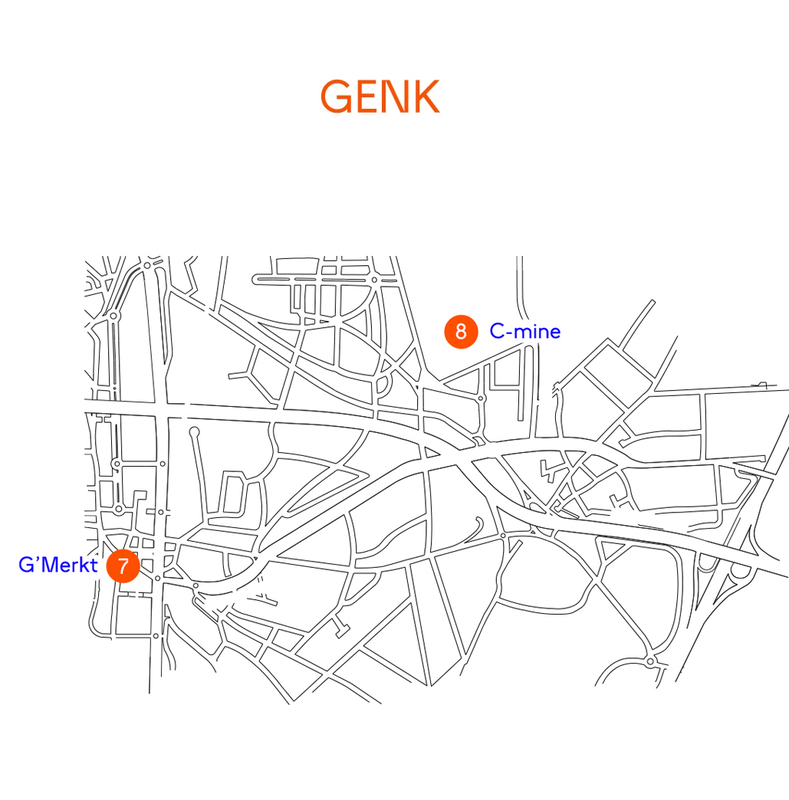 The exhibition G'Merkt has Genk's youth and middle-aged persons expose the impact of subcultures and streetwear in our everyday society from past to present. 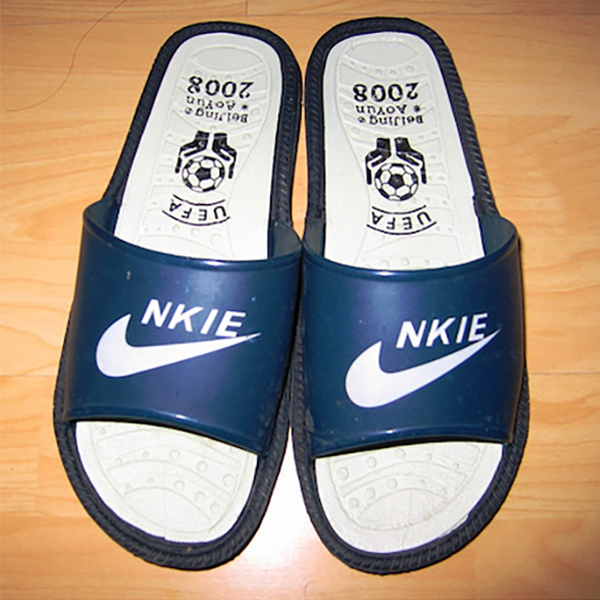 Aspects such as counterfeiting, originality and impact of the brand industry are thoroughly scrutinized. 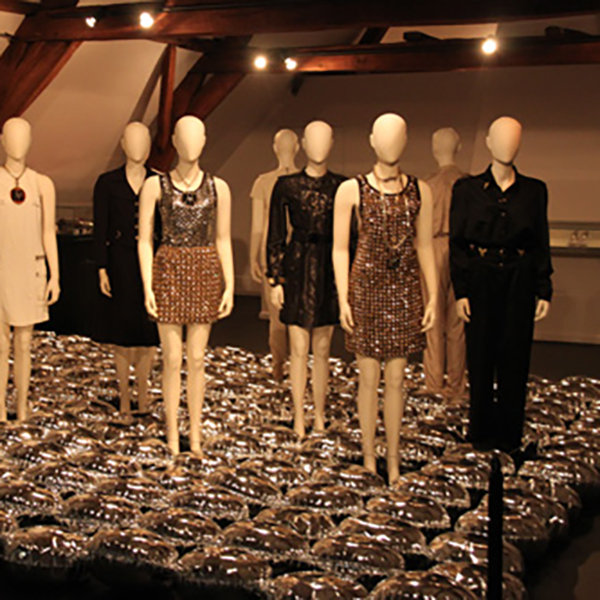 The fashion approach provides a link with Label It, the presentation in the Fashion Museum Hasselt. The participants present the results at the finissage weekend of 7 and 8 January 2017, after which the presentation will travel to the Fashion Museum. Fashion designer and fashionista Kristien Follon coordinates this project, with Astrid Nowak from Genk as a sidekick. Moreover, StampMedia, Studio Refugee and the Genk label DESCY will be active partners supporting and giving new dimensions to the socio-artistic project. This is the Sound of TM focuses on the trademark that musical artists create around their persona. More than ever these artists manifest themselves as multidisciplinary image makers. Often the help of visual artists is also invoked. 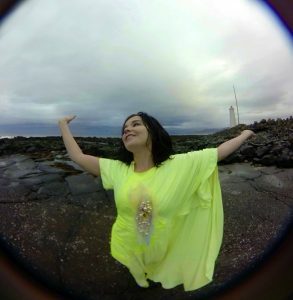 Inspired and triggered by examples from various branches of art and recent (pop) history, they become experts in techniques of assimilation: from inspiration to adaptation and commercial use. Through a selection of both world famous and innovating cooperations, This is the Sound of TM sheds a new light on their identity. 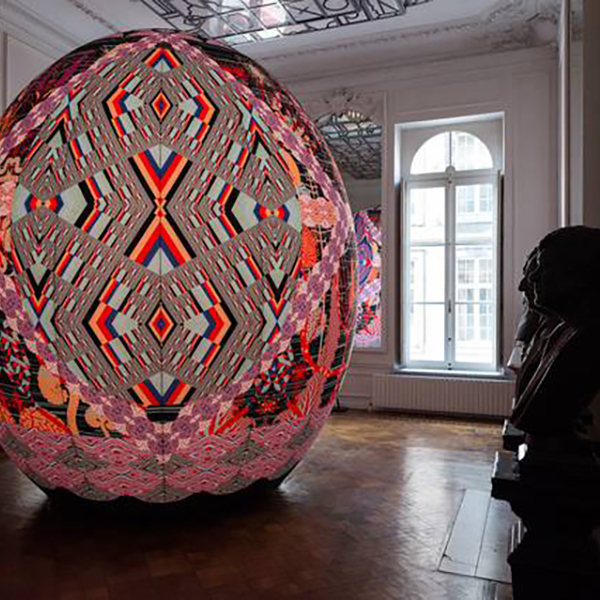 By widening the traditional exhibition model concerned with inspiration, the visitor gets to experience a cyclical exhibition with digital installations, interactive musical sculptures, video projections and much more. 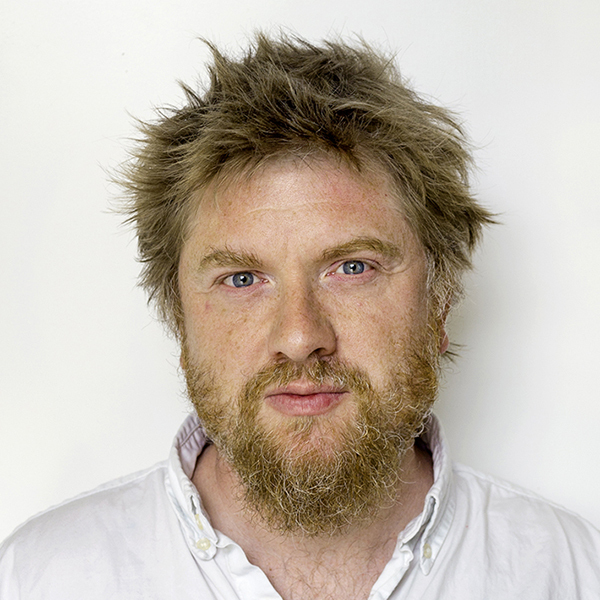 Tim Goossens is a belgian curator based in New York. He holds a double Master in Art History (KU Leuven and the Sorbonne, Paris) and a Master in Museum Studies (Ecole du Louvre, Paris). 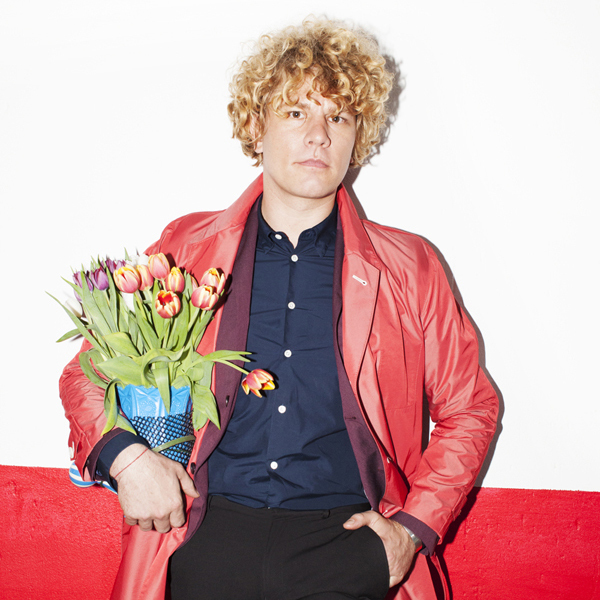 He moved to New York and was assistant-curator at MoMA PS1 until 2010. In New York he organized exhibitions with amongst others Patti Smith, Ceal Floyer, Pieter Vermeersch, Dirk Braeckman, Kasper Bosmans and Edith Dekyndt. At MoMA PS1 he collaborated on Greater New York, a Kenneth Anger retrospective, and he co-founded the acclaimed Saturday Sessions performance series. Currently he is curator at The Clocktower Gallery (New York), one of the oldest non-profit art spaces in the US, where he has worked on projects with Joan Jonas, Patti Smith, Nancy Holt and Antony and the Johnsons. He is also curatorial director at Envoy Enterprises in the Lower East Side and since 2014 he is a professor at Sotheby's Institute of Art. Willem Van der Stock works as assistant-curator to Tim Goossens for the exhibition This is the Sound of TM . He holds a Master in Art History (KU Leuven and Complutense University, Madrid) an also worked as assistant-curator at Fondation Custodia, Frits Lugt Collection in Paris. The exhibition animalcoholics. challenges photographer Frieke Janssens to reflect on alcohol as a socially accepted drug and its position in modern society. Janssens created a large surrealist account in which she wrenches alcohol out of its natural context. She never wants to impose anything on the spectator, but rather shows the other side of the same coin. Humour is never far off and plays an important part in this reflection. 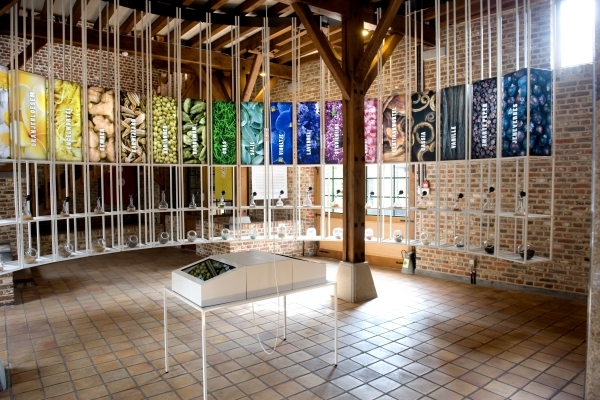 It results in an anti-branding campaign that provides a counterweight to the exhibition of ‘jenever’ (the Dutch gin) posters, entitled DistillArt. 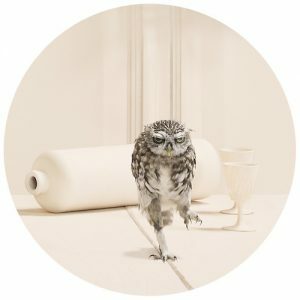 Frieke Janssens (Bruges, 1980) started taking evening classes in photography when she was 15 years old and knew from that very moment on that she wanted to be a professional photographer. During her photography studies at Sint-Lukas in Brussels she mainly expressed an interest in lifestyle, sociology and stereotypes. In her works she tries to tell stories that fascinate, either void of or consciously packed with clichés. The hallmark of her work is a great sense of detail, humour and surrealism. Her much-debated photo collection Smoking Kids was exhibited in Antwerp in 2011, Russia, Lineart in Ghent, New York and Chicago. Notions such as ‘personal identity’ and ‘image’ seem to fade in the era of social media and selfies. The question remains to be asked however, as to if they are actually more present than ever? We gaze at ourselves through a catalogue of images of others, filled with decontextualized references. This exposition unwinds in a curious yet critical way the urge to ‘trademark’ ourselves. Anonymity, self-reflection and social stratification are blended into static or moving images, creating an ample variety of images in which the visitor can find and conform himself. The dynamic areas of the cultural centre do not only offer exhibition space, but rather a labyrinth with keys to ‘self-image-ination’. Emmanuel d’Autreppe is Professor in History of Photography, Aesthetics and Literature at the Academy of Visual Arts, Sint-Lucas (Liège) and in 2016 deputy professor at the VUB (Brussels). 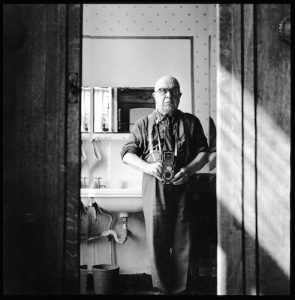 He is director of the photographic collection of the Yellow Now editions and co-author of a study on social-professional photography in Belgium (Smart.be Foundation, 2012). He actively works with several institutes in Flanders and Wallonia, where he curates exhibitions on photography and visual arts. As early as 1974 Nam June Paik launched the term Electronic Superhighway: artists and intellectuals would be able to freely exchange data and films and this would generate an unprecedented social impact. 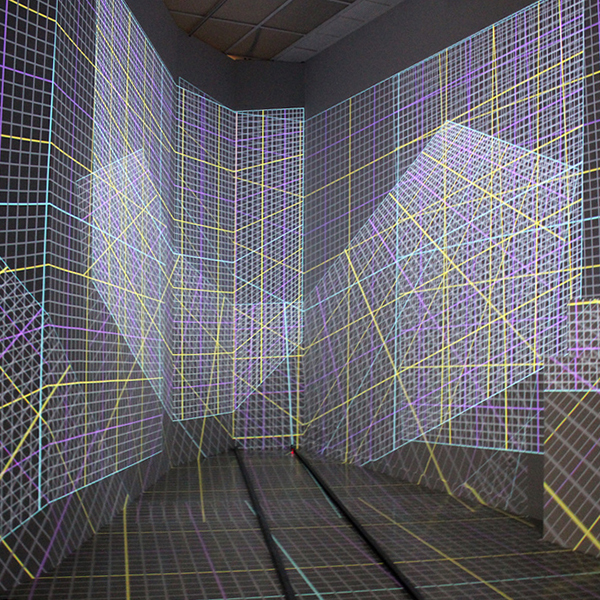 Creating this virtual public space remains the dream of the Internet. As in a place without any state interference where people can join critical public debates and freely gather or offer information (web 2.0). Yet the longed for democratic public space of the Internet is under threat. More and more the net resembles a gigantic shopping mall, where the public space may well appear free, but is in reality being monopolised by powerful telecom, technology and internet companies. Along today’s electronic superhighway, the logos of Amazon, Google, Twitter, Facebook, YouTube or TEDx arise. One by one they represent powerful American brands controlling the infrastructure and services of the network. This increasing centralisation and commercialisation of the Internet unleashes heated discussions. Multinationals engage in violating privacy, monitoring users profiles and Internet traffic, and abusing personal data for commercial goals. Moreover, the Internet at times leads to unethical economic and political practices and manipulations of the freedom of expression by firms with strong stakeholders. 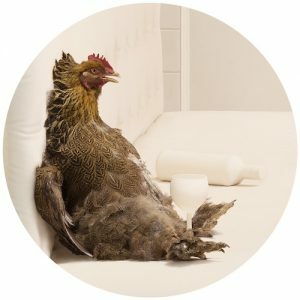 The exhibition Corporate Parodies shows how artists and activists contribute to an inclusive debate on these evolutions. Through their work they show and question the influence of these companies and develop systems and loopholes to limit or bypass their power. More than once, they succeed in beating these multinationals with their own technology or in exposing their malpractices through their ingenuous interventions. 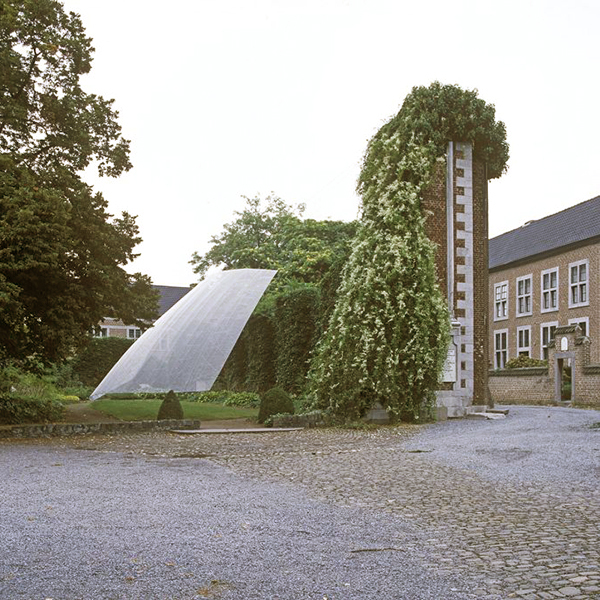 The gin museum located at Witte Nonnenstraat close to the former beguinage, used to be a monastery homestead for the confraternity of Franciscan-penitents. 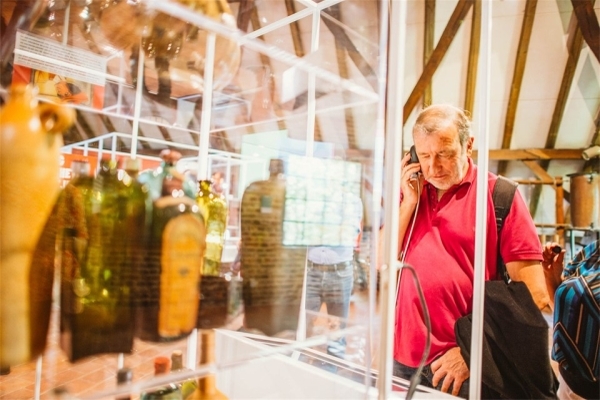 In 1803 the building was reshaped into a distillery and in 2014 it received its current arrangement in which a wide range of collection pieces, video and audio fragments, and fragrances are on display. 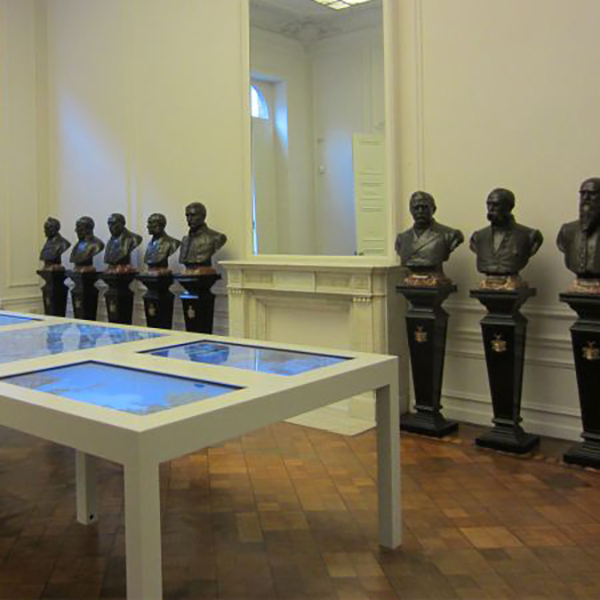 The museum is housed in two interconnected patrician residences, Het Waerdenhof and Stellingwerff. The city and its habitants are highlighted from a historical, political, folkloristic and cultural-historical perspective. The position Hasselt held in the county of Loon, in the principality of Liège and in the current province of Limburg is also being addressed. Z33 is a house for contemporary art. Z33 has been realizing projects and exhibitions since 2002, encouraging visitors to look differently at everyday objects. The Z33 exhibitions always have a strong society-oriented approach. Contemporary themes are highlighted in a critical manner from the viewpoints of different artists. The Fashion Museum Hasselt is an urban museum for authentic clothing and accessories, located in a renovated monastery at Gasthuis street in Hasselt. The largest part of the collection dates from the first half of the 20th century and consists of designer clothes. Fashion Museum Hasselt realized several internationally revered projects or managed to bring these to Hasselt. 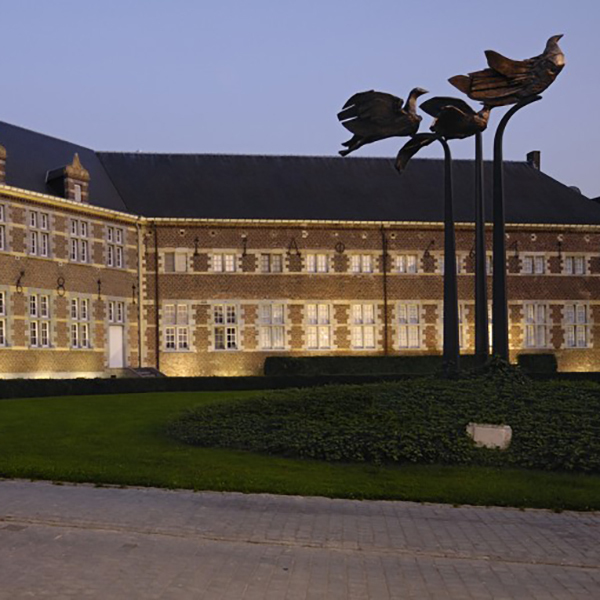 The Cultural Centre of Hasselt strives to become the Flemish institute for art and culture in the province of Limburg. As the epicentre for culture and arts, as active networker, as mediator between Genk and the EU region, as engine of the arts scene and, by expansion, of the city of Hasselt, CCHA distinguishes itself with a well-defined program, a passion for young audiences and authentic urban experiences. 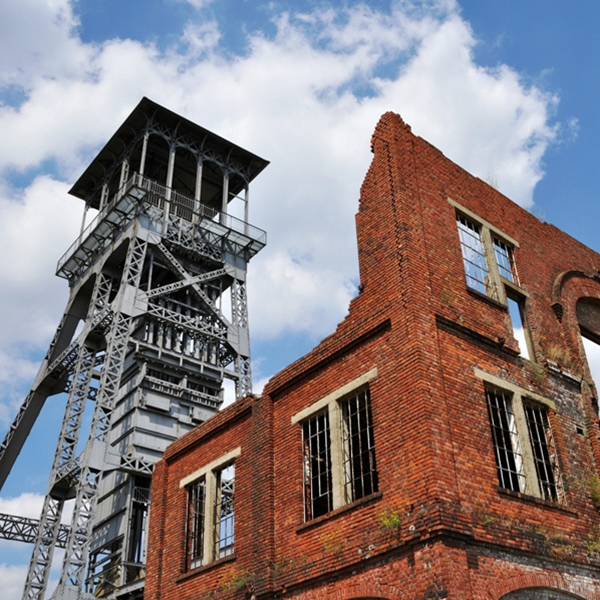 C-Mine is the Cultural Centre of Genk and operates as a creative hub standing on four pillars: education, creative economy, creative recreation and artistic creation and presentation. 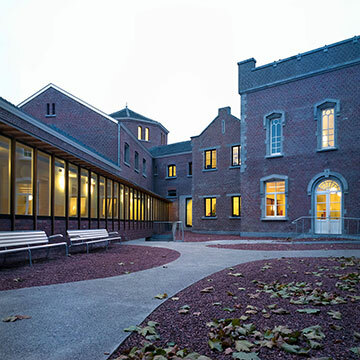 With a college specialized in different artistic majors, an incubator for young entrepreneurs and a design centre, C-Mine engages with participation and development. 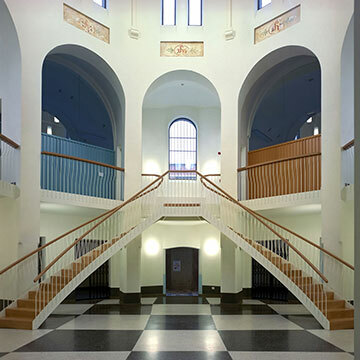 The redefining of the old prison and the addition of a transparent new building creates an invigorated landmark within the city, and a beacon for the university’s dynamics. 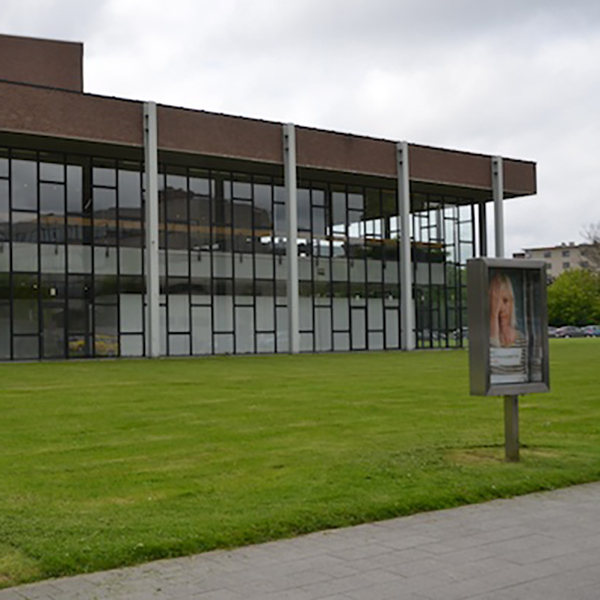 Thousands of law students have found their own place within the new city campus of the University of Hasselt. Aside from the new law faculty, it also houses the headship office and several other important administrative services and research facilities. Many events are planned throughout the period of the arts festival (1.10.16 – 8.01.17). But even in the run-up to the City Triennial. Follow the latest updates here! Do you have a passion for drawing? 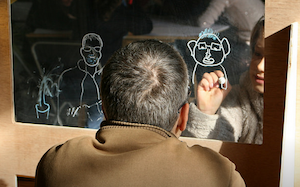 This year exceptionally there is no The Big Draw city festival, but there is something new. Get ready for Drawing Day # 1, an inspiring day for draughtsmen and -women of all kinds. Do you fancy attending Drawing Day # 1? Keep an eye on the website www.thebigdraw.be and mark October 29, 2016 in your calendar! 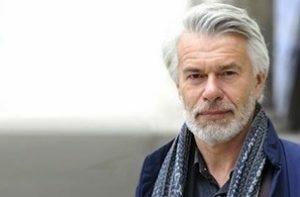 Chris Dercon (1958) is momenteel nog directeur van het Londense Tate Modern. Vanaf 2017 zal hij het prestigieuze toneelgezelschap van de Berlijnse Volksbühne leiden. Op uitnodiging van het Openluchtmuseum van Bokrijk deelt hij op 28 november zijn visie over het museum van de toekomst. Deze voordracht vindt plaats binnen de reeks Limburg Lezingen. Daarvoor nodigt de gouverneur en de Limburgse deputatie sprekers uit die motiveren, die verrassende inzichten meegeven en aanzetten tot actie. 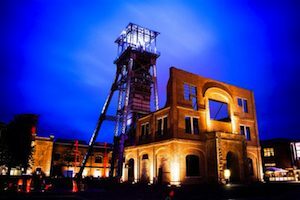 Tijdens de nocturne op donderdag 15 december kan je de locaties van de Stadstriënnale in Hasselt en Genk ook 's avonds bezoeken. Een mooie gelegenheid om enkele tentoonstellingen en projecten van naderbij te bekijken en een of meer extra activiteiten mee te pikken. Check hier voor meer info! The third city-triennial of Hasselt, entitled Superbodies, pertained to the fascination of artists and designers in the way our body unconsciously shapes our experiences. 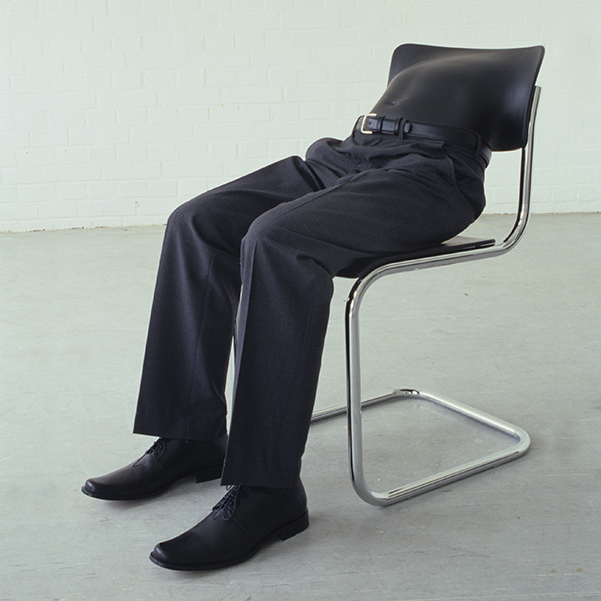 The exhibition focused on the body in all of its – often half unconscious – actions. An elaborate, interactive exhibition track has us contemplate on the body as the source of our thoughts and feelings. 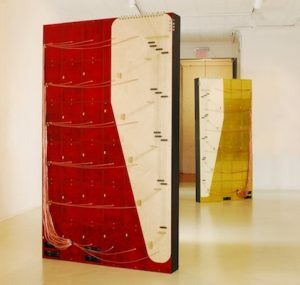 Both internationally established and upcoming artists and designers flirt with the borders of their craft in order to unwind the mysteries of the body. Pieter T’Jonck was de curator of Superbodies. 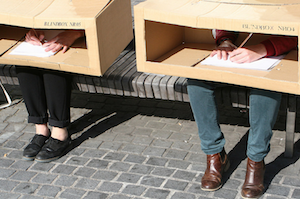 Superstories was the second edition of the city-triennial of Hasselt. 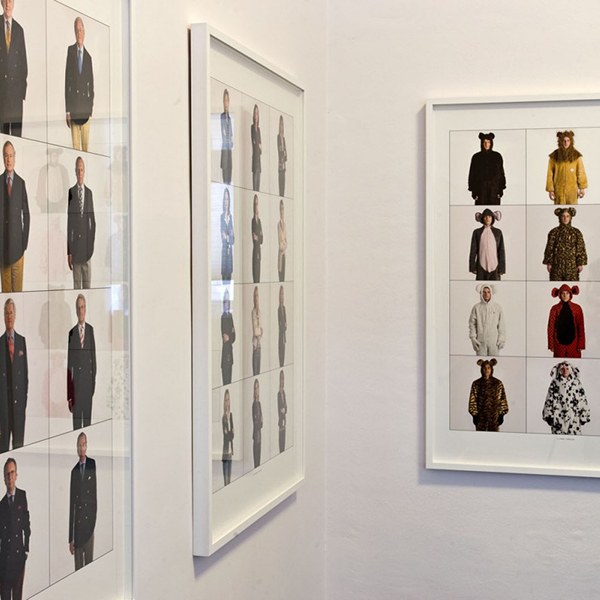 Belgian and internationally revered artists, fashion designers and designers, focused on the use of narrative and documentary elements in the visual arts, fashion and design. 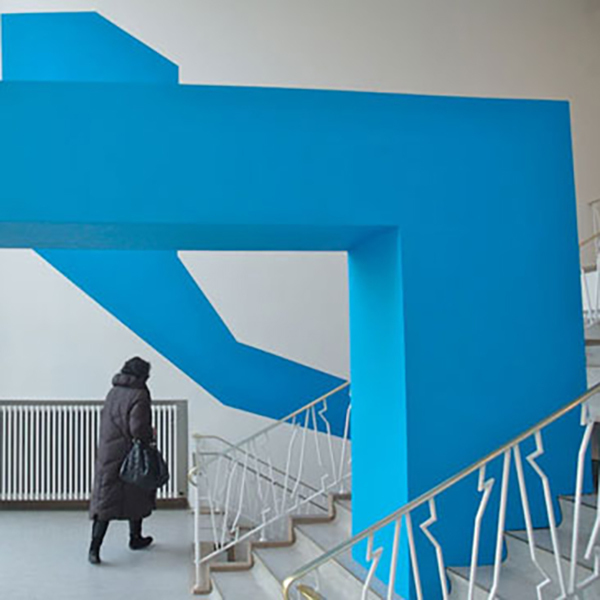 Besides the five exhibitions the Superstories programme consisted as well of two city projects, an elaborate educational programme, theatre and lectures of several participating artists. 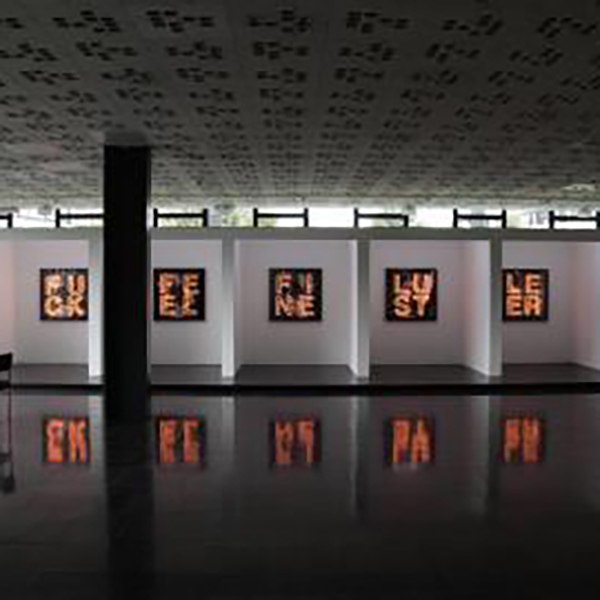 This resulted in a successful second edition of the city-triennial, led by curator Koos Flinterman. 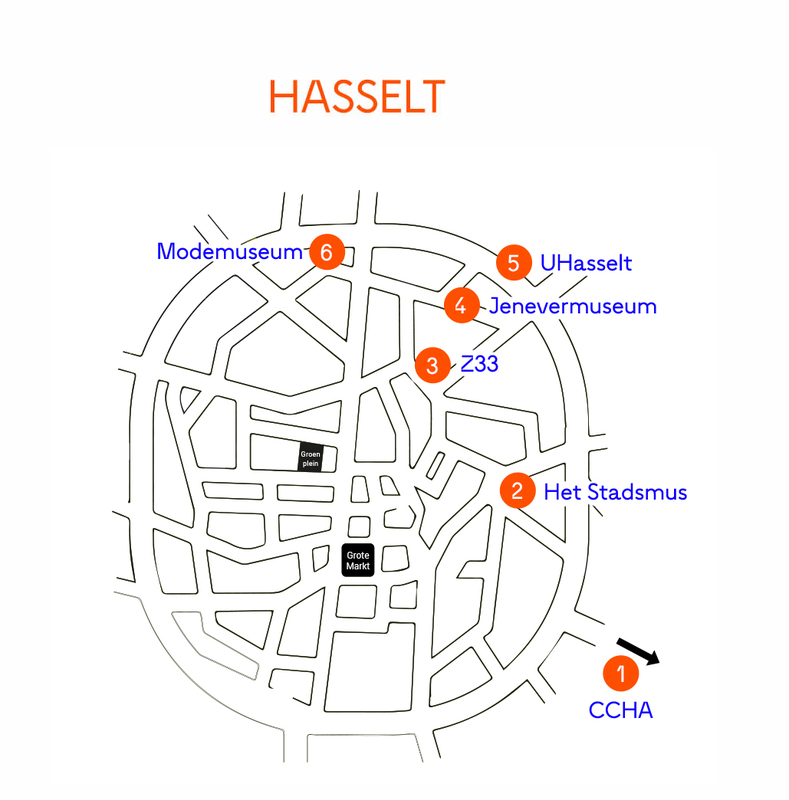 Super, led by curator Edith Doove, was the first edition of the city-triennial of Hasselt. The festival focused on transcending the three disciplines of Fashion, Design and Contemporary Art. During the triennial the less obvious sides of fashion and design were brought forward, in which contemporary art often served as a catalyst. Fashion functioned more as a means of communication during interactions in the city, whilst design engaged in city-experience, spatial planning and the inner world. 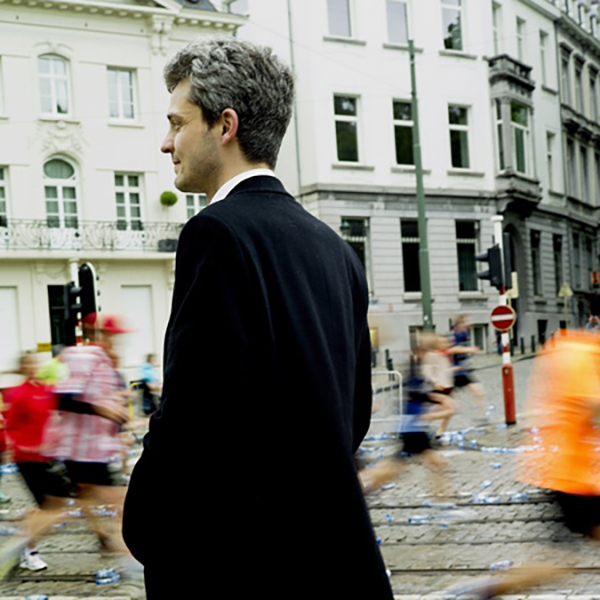 Pieter Jan Valgaeren is the artistic director of the City Triennial. He obtained a Master degree in Art History and a Bachelor in Law at the KU Leuven and a Master in Intellectual Property Law at the College-University of Brussels. He worked at the Interdisciplinary Centre for ICT-Law (KU Leuven), iMinds SMIT (VUB Brussels) and teaches at the Thomas More (college Mechelen). 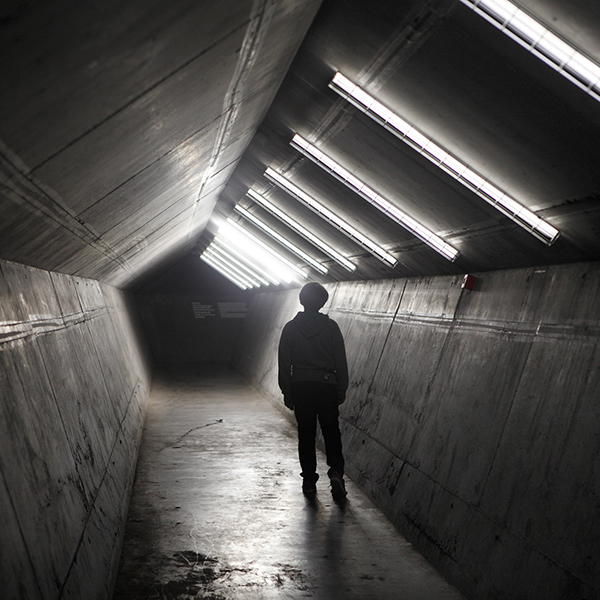 The focus of his research field balances between art, media-industry and social media. 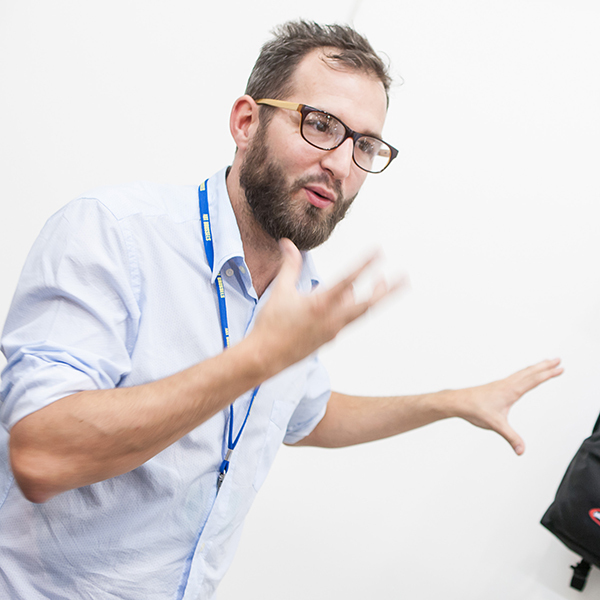 As a guest-lecturer he taught at the universities of Potsdam, Berlin, Valetta, Geneva and Madrid. TRADEMARKS are not just brand names and logos, they can also be images, sounds, smells and tactile experiences. As soon as we open our eyes, we are surrounded by them. TRADEMARKS almost imperceptibly determine the landscape of our daily lives. 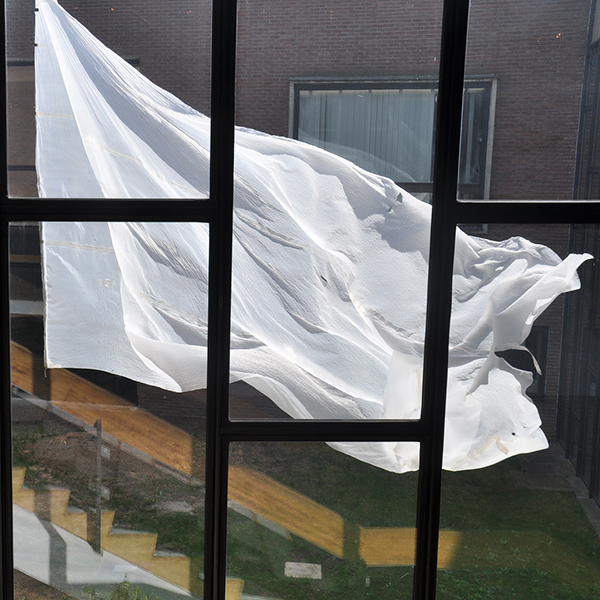 By visiting the City Triennial Hasselt-Genk, students become aware of this. An extensive educational kit for use in the class room is available in Dutch. You can download it here. 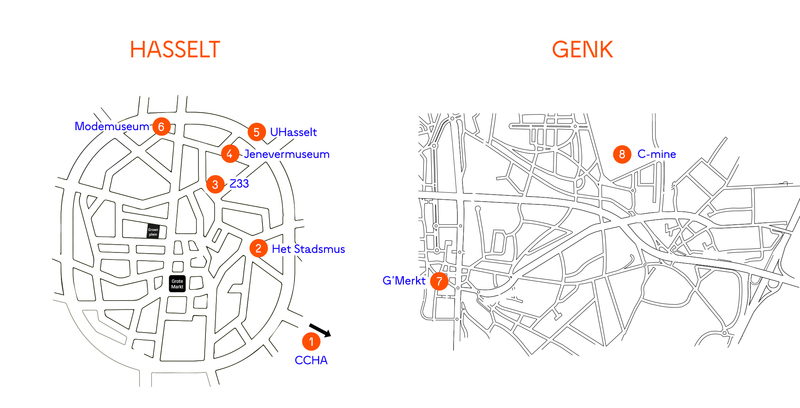 You can choose to select only one exhibition or a trail through three different exhibitions of your choice. A guided tour lasts 1.5 hours and costs € 3 per student (with a minimum of 10 and a maximum of 20 students per guide). The Modemuseum (Fashion Museum) offers a package which consists of a guided tour plus creative post-processing (duration: 2 hours). For this package there can be up to 15 students per guide, and up to 2 guides in the same time slot. 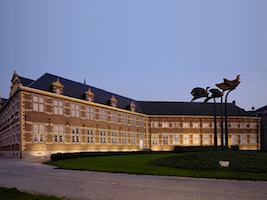 1 October 2016 marks the opening of Stadstriënnale Hasselt-Genk. 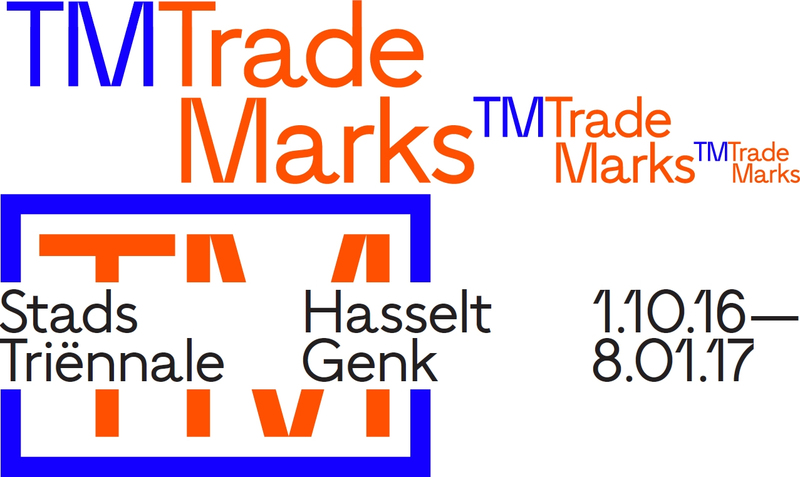 During a period of 100 days the arts festival in the Belgian cities Hasselt and Genk will focus on TRADEMARKS. Trademarks have an enormous impact on our daily lives. 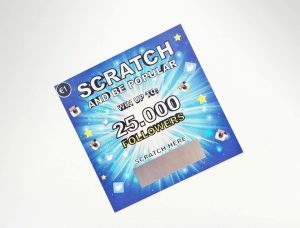 Along with logos and trade names they are often barely noticed, but provide instant recognisability and an identity for products, services and their users. TRADEMARKS explores the tension between the fields of art and commerce in visual arts, fashion, design, photography and music. 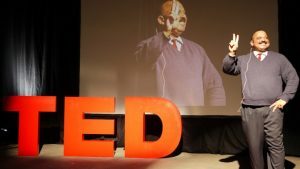 Are you curious about the stories behind originality and personal branding? Brace yourself for a rollercoaster of 100 days of logo mania. Download here the press release. Check here for images. The festival pass provides access to all locations throughout the whole festival period (i.e. 100 days). The pass comes in the form of a brochure with an overview of the entire program and a convenient plan. to order your festival pass or your catalogue online.